How much trash is in the ocean? A lot—so much, that it might just be the next big material for eco-friendly fashion. 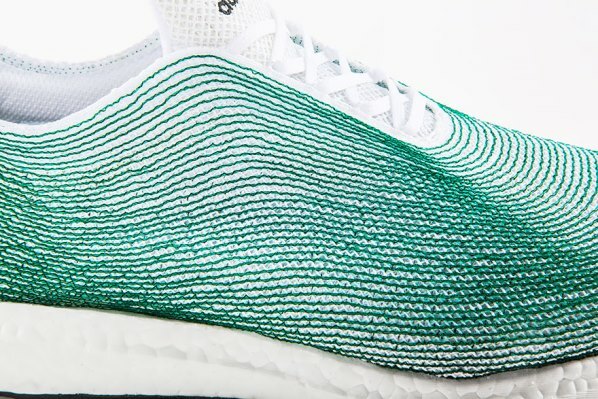 While you won’t be seeing any fishing net fashion in stores any time soon, Adidas has already created a pair of prototype sneakers made almost entirely out of discarded fishing nets—proving that garbage can actually be quite eco-chic. As Andrew Lord reported for the Huffington Post, Adidas recently partnered with Parley for the Oceans, a conservation group dedicated to raising awareness of the many threats that face our oceans. Parley for the Oceans believes that the greatest power for change to save our oceans lies in the hands of consumers around the world—and that’s where Adidas comes in. The eco-chic shoes aren’t on sale yet, but their innovative design shows just how versatile recycled plastic taken from our oceans can be. The upper portion of the shoe is made entirely out of recycled plastic, including fibers from illegal deep-sea gillnets recovered off the coasts of West Africa. The base of the shoe is made from other sustainable cushion materials. The green net fibers make this shoe stand out—but the story of how they were gathered is even more colorful than the shoes themselves! Adidas and Parley for the Oceans brought in another great organization, the Sea Shepherd Conservation Society, to help gather materials for the shoe. Writing for the Huffington Post, Lord reports that the Sea Shepherd Conservation Society led a 110-day expedition to track illegal poaching vessels off the coast of West Africa. 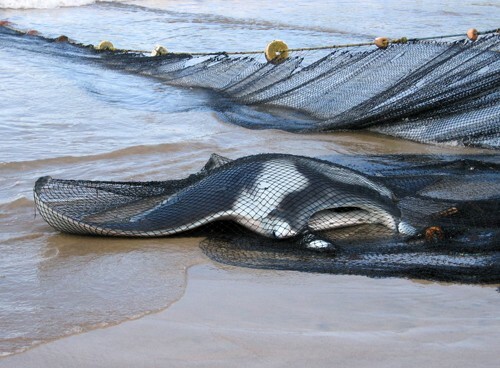 These illegal operations often use environmentally disastrous methods to catch fish, including deep-sea gill net fishing that kills thousands of dolphins, sharks, rays, and other unintended ‘bycatch’ animals each year. 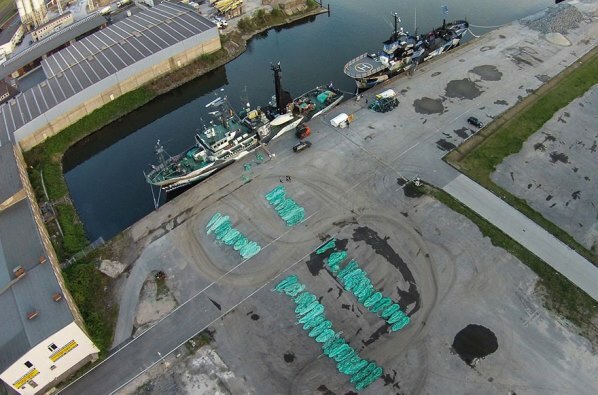 These nets are often discarded directly into the oceans, as well, adding to the oceans’ enormous pollution problem. 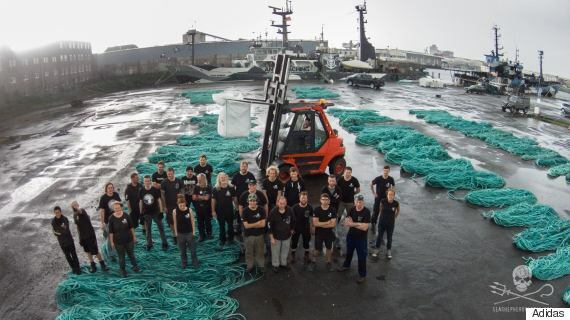 During this expedition, the Sea Shepherd Conservation Society reclaimed almost 45 miles worth of illegal fishing nets, which will now be used for much more positive purposes. In fact, the green threads running through these shoes are made from the exact nets reclaimed during this expedition. As a prototype, these shoes are not for sale. 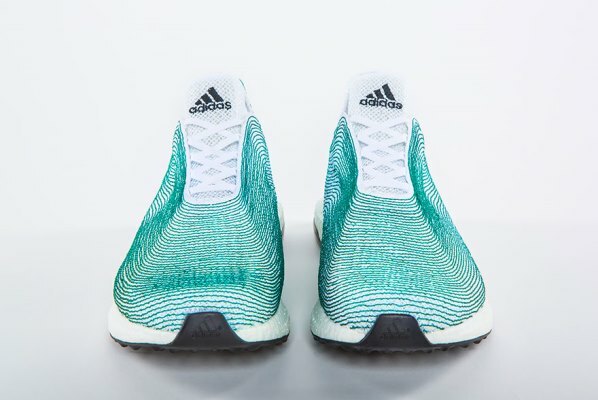 But as Adidas’ spokesman Eric Liedtke told Jasmin Malik Chua of Ecouterre.com, the company is looking to incorporate recycled ocean trash into future projects. Discarded fishing nets and beach-combed litter might just be the material of the future for Adidas—though their ultimate goal is to capture and re-use microplastics floating invisibly in our world’s oceans. So what do you think? Will recycled ocean trash be the next big thing for fashion, and would you be willing to wear this “garbage” on your feet?